BookToday has a great selection of hotels and apartments in the vibrant CBD of Canberra. Stay close to the biggest flower festival in Australia, The Floriade. Floriade is the biggest flower festival in Australia, a spectacular celebration of spring, set in Canberra's Commonwealth Park. 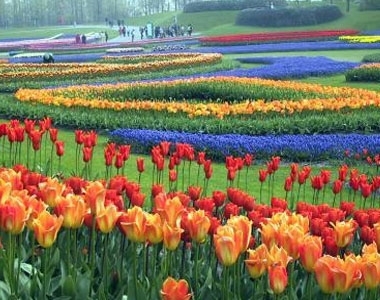 Enjoy new types of blooms every year as Floriade showcases exciting new bulb varieties. Exotic sounding varieties such as Tulipa Black Diamond, Violetta Tiny Tots Blueberry Banana and Tulipa Top Parrot bloom together to create sweeping designs of colour throughout the park.